If you’ve spent a while using services like Coinbase to buy mainstream cryptocurrencies such as Bitcoin, Litecoin, and Ethereum, you might feel like it’s time to branch out. Perhaps you want to try your hand at trading, or maybe you’d just like to own some less well-known coins. In either case, you’ll need to sign up for a cryptocurrency exchange. There are a lot to choose from, but one of the most popular is Bitfinex. To take full advantage of Bitfinex, you will need to verify your account. 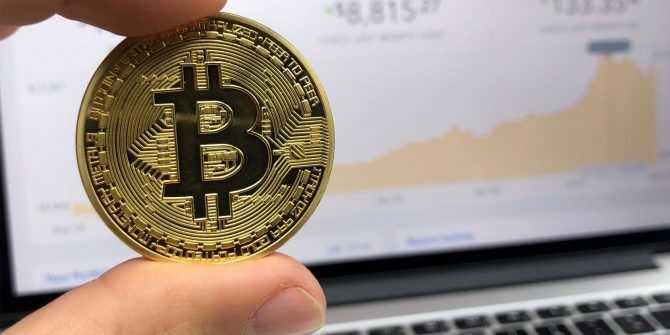 It will let you withdraw fiat currency How to Sell and Convert Bitcoin to Dollars How to Sell and Convert Bitcoin to Dollars If you're sitting on a pile of Bitcoin and want to cash out while you still can, keep reading to find out how. Read More from your account. Let’s take a closer look at the process. Before starting the verification process, make sure you have all the paperwork and documentation you’ll require during the process. You will also need to have basic information such as telephone number, date of birth, and email address. Go to Account > Verification. Go to Account Type and select Individual. Select your reason for wanting account verification. Fill in your details, uploading the aforementioned documents when prompted. Keep in mind that due to the popularity of online crypto exchanges, verification could take as long as six weeks. You will receive an email when your account is ready. In addition to withdrawing fiat currencies, you will also benefit from reduced deposit times once Bitfinex has verified your account. Without verification, you will only be able to withdraw cryptocurrencies from your account. Warning: Trading cryptocurrencies involves risk. Only invest what you can afford to lose. If you’d like to become more knowledgeable before investing, check out some of the best sites for Bitcoin news. It's really very complex in this full of activity life to listen news on Television, thus I only use world wide web for that reason, and get the most up-to-date information. Useful information. Fortunate me I found your website by chance, and I am stunned why this twist of fate didn't came about in advance! I bookmarked it. This article offers clear idea designed for the new viewers of blogging, that genuinely how to do blogging and site-building. Magnificent site. A lot of helpful information here. I'm sending it to several pals ans also sharing in delicious. And obviously, thank you to your sweat! I seldom write comments, however i did a few searching and wound up here How to Verify Your Bitfinex Account to Withdraw Money and Reduce Deposit Times. And I do have a couple of questions for you if you tend not to mind. Is it only me or does it look like some of these responses appear as if they are coming from brain dead visitors? :-P And, if you are posting at additional online sites, I would like to keep up with everything new you have to post. Could you make a list of all of all your shared sites like your linkedin profile, Facebook page or twitter feed? Hey! I know this is kinda off topic but I'd figured I'd ask. Would you be interested in trading links or maybe guest writing a blog post or vice-versa? My blog covers a lot of the same topics as yours and I feel we could greatly benefit from each other. If you are interested feel free to shoot me an email. I look forward to hearing from you! Wonderful blog by the way! I was pretty pleased to uncover this site. I want to to thank you for ones time for this particularly fantastic read!! I definitely really liked every little bit of it and i also have you saved to fav to look at new stuff in your blog. I have read so many posts on the topic of the blogger lovers except this paragraph is really a nice article, keep it up. Thank you for every other informative blog. Where else could I am getting that type of information written in such a perfect method? I've a venture that I'm just now operating on, and I've been on the look out for such info. It's a shame you don't have a donate button! I'd definitely donate to this outstanding blog! I suppose for now i'll settle for book-marking and adding your RSS feed to my Google account. I look forward to brand new updates and will talk about this site with my Facebook group. Chat soon! Heya! I know this is kind of off-topic however I needed to ask. Does running a well-established website like yours take a lot of work? I'm brand new to writing a blog however I do write in my diary on a daily basis. I'd like to start a blog so I can share my personal experience and feelings online. Please let me know if you have any suggestions or tips for new aspiring bloggers. Thankyou! My brother suggested I would possibly like this blog. He was once totally right. This submit truly made my day. You can not believe just how so much time I had spent for this information! Thank you! Thanks for the marvelous posting! I definitely enjoyed reading it, you will be a great author. I will ensure that I bookmark your blog and definitely will come back down the road. I want to encourage you to ultimately continue your great job, have a nice day! Hello there! I know this is kinda off topic but I'd figured I'd ask. Would you be interested in exchanging links or maybe guest writing a blog post or vice-versa? My site addresses a lot of the same topics as yours and I feel we could greatly benefit from each other. If you are interested feel free to shoot me an email. I look forward to hearing from you! Great blog by the way! It's an awesome piece of writing in support of all the internet viewers; they will obtain advantage from it I am sure. Great blog you have here but I was curious about if you knew of any user discussion forums that cover the same topics discussed in this article? I'd really love to be a part of group where I can get responses from other knowledgeable individuals that share the same interest. If you have any recommendations, please let me know. Many thanks! You need to be a part of a contest for one of the best websites online. I'm going to recommend this blog! great points altogether, you simply gained a new reader. What would you suggest about your put up that you simply made a few days ago? Any positive? What i don't understood is in fact how you are no longer really a lot more smartly-liked than you might be right now. You're so intelligent. You recognize therefore significantly relating to this topic, made me in my view imagine it from a lot of numerous angles. Its like women and men don't seem to be interested except it's something to accomplish with Lady gaga! Your personal stuffs excellent. At all times take care of it up!